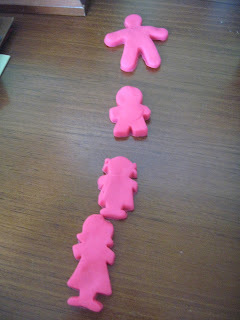 I continue to read, read and read about preemies. If you look in my Google search history, you'll see things like "preemie long-term effects" and "preemie growth." I am in awe of the power of the human body. The body has miraculous ways of fixing itself - just as a person who experiences a heart attack can go on and enjoy life, a preemie can grow and thrive with organs that strengthen themselves. Jeremy and I are doing some serious attachment parenting - besides me nursing Jossie, we "wear" her in a baby wrap and she sleeps in a bassinet close to our bed. I feed on demand...even if demand means stopping roadside yesterday afternoon. (Oh, yes, I did nurse in the car.) This is all happening as we're also parenting Jack - doing things like the pee-pee Olympics where Jack practices his aim at Cheerios in the potty. Did we mention we're exhausted? Jossie will be 39 weeks gestational age tomorrow. She really is acting more and more like a newborn - more alert and really crying. The crying is joy, joy, joy to our ears - we love that her lungs are strong and growing, and she has the mental capabilities to tell us when something's wrong or we're utterly annoying her. I just love hearing those beautiful cries. Jossie already has a collection of darling clothes - I cannot wait for spring and summer to doll her up next to her handsome big brother. And, yes, I can't believe I did this, but I bought Joss her first pair of white tights. Just a few weeks old, and I'm already planning to squeeze those baby thighs into tights. We gotta look good for the spring holidays, sweethearts! 4. Type your comment and then click on "post comment"
To quote Jack, who's quoting Maria, that was "easy-peasy lemon-squeezy." Preheat the oven to 350°F. With a wooden spoon, mix butter into the mashed bananas in a large mixing bowl. Mix in the sugar, egg, vanilla and bourbon, then the spices. Sprinkle the baking soda and salt over the mixture and mix in. Add the flour last, mix. Pour mixture into a buttered 4×8 inch loaf pan. 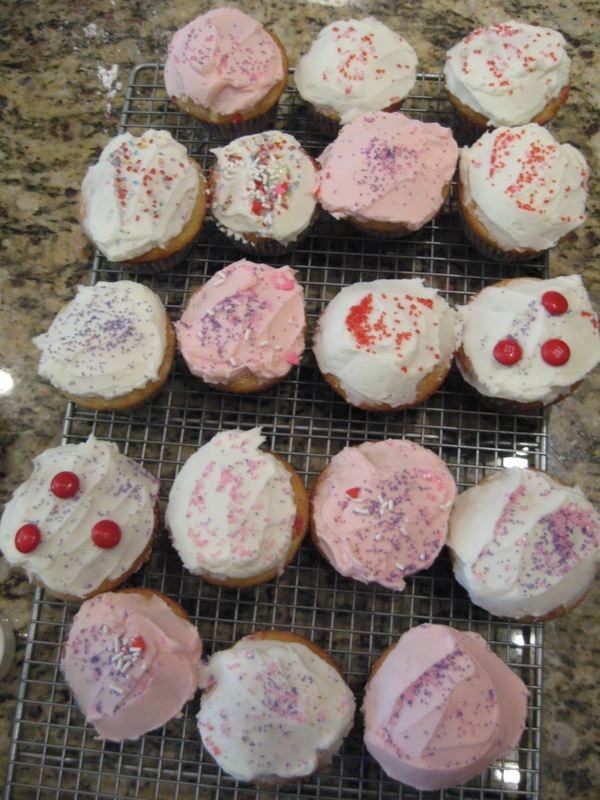 Bake for 50 minutes to one hour, or until a tester comes out clean. Cool on a rack for about 10 minutes before removing from pan. Slice to serve. My girlfriend made this for Jeremy and Jack while I was in the hospital for monitoring. They devoured it. And the results were great today too. We enjoyed a wonderful visit with long-time friends this afternoon, who we haven't seen in more than a year. They brought their 3-year-old twin boys, and Jack was in heaven. We caught up over Thai food from Penny's (a vestige of our twenty-something days in Chicago's Lakeview neighborhood) while the boys ran amok. And when I say amok, I mean amok: Three little boys yelling, dancing, turning lights on and off - I even caught Jack sitting atop his dresser. As they left, Jack declared, "I had fun with my visitors." Do you know how amazing the human body is? It's amazing. I'm reading Dr. Sears' The Premature Baby Book, and mama's milk for a preemie is actually a different "formula" from that of a mother of a full-term baby. Can you stand it? Also, we've been doing kangaroo care, and apparently my body will change temperature to accommodate Jossie's body temperature. Crazy! We're doing some kangaroo care in my bed as I type this - no worries, I'm not balancing the laptop on the baby. Jazz is playing, Jeremy's playing Angry Birds on the iPad, and Roscoe the cat is snoozing between my legs. For a second, life is almost normal. 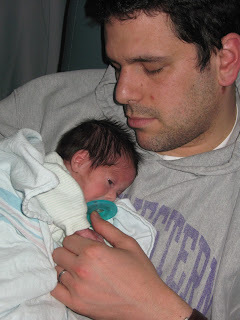 As the monitors, tests and bright lights of the hospital fade into memories, Jeremy and I are moving forward with life. We're here now, and here is good. Jack is adjusting to being a big brother - he informed us he's taking showers now because he's a big boy but has had some setbacks with potty training. And the Look he gave me when he woke up from his nap yesterday and I was holding that darn baby AGAIN, well forget about it. Though Jack did enjoy Jossie "chasing" him this morning with Daddy's help. And the stunned look on Jossie's face was priceless, her arms outstretched, as Daddy held her in his arms. We're not in the NICU anymore, Toto. I love my small brood. I love wiping two tushies and tickling two bellies to get little laughs. Homebound because of the cold Chicago weather, I'm enjoying the tiny moments with two small kids - clad in fuzzy pjs with fluffy clean hair after bathtime, waiting for bedtime stories. The music on Jossie's swing endlessly playing because Jack likes to play DJ and Jeremy and I are too tired to turn it off. 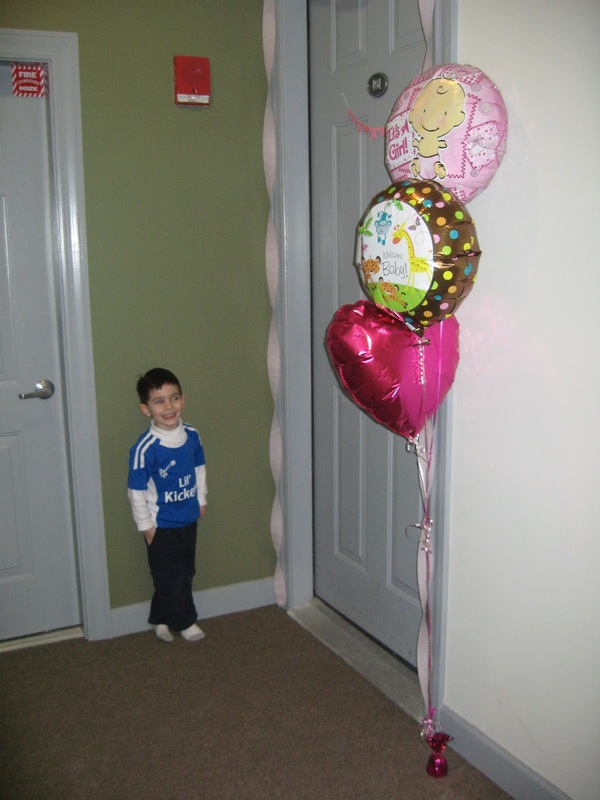 My little 3-year-old prince asking me if I'll be at his "balentine." 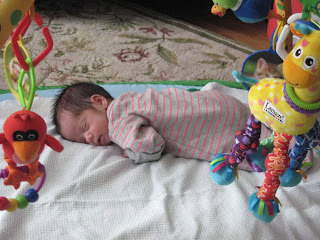 I love it all - even the long nights of feeding Joss every two hours and then hearing a little voice yell at 6:30 a.m., "Mommy, I want to wake up now!" I didn't have a chance to post yesterday because we were released from the hospital! Jossie met the five-day mark for being brady-free (she actually had a small one lasting two seconds in the morning but that did not count) and continues to gain weight. We're covered in spit-up stains; we're constantly doing laundry; and we're over-the-top thrilled. We have both of our babies under one roof, and I couldn't ask for more. I'll probably take a blog break for a few days as we get our bearings but more to come as we start this next chapter. Thank you again for sending so much love and support to us; it has sustained us. I spent the afternoon with dear Jossie. She's so little so her cries are kitten-like, but I can see this is a girl who likes to speak her mind. She is never too pleased when we interrupt her sleep with changing her diaper or taking her temperature. Luckily, she is very easy to soothe at this point. We are still brady-free and we're closing in on the 2.5-day mark at 10:40 p.m. this evening. She is eating well and we had a few good nursing sessions today, which is extremely satisfying. I think it's because it's something I can only do - not a nurse or a doctor. 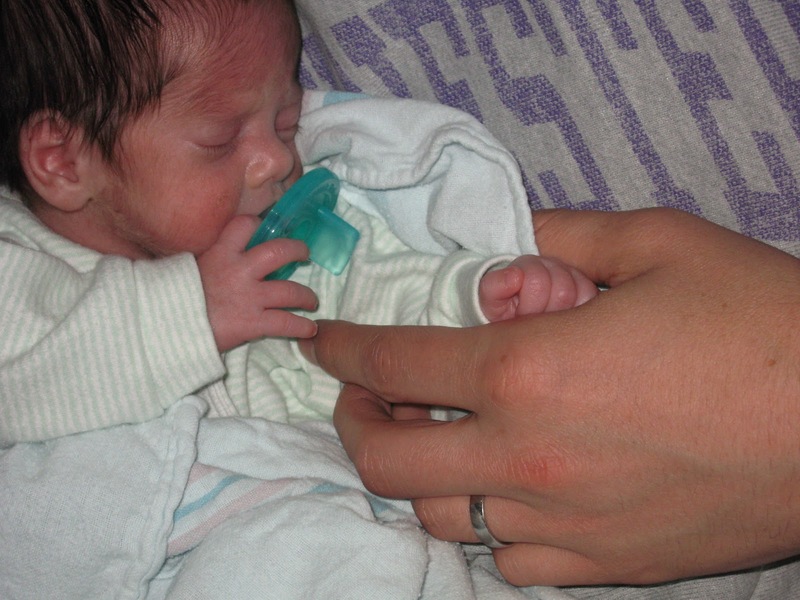 I was there for her weigh-in, and she's 4 lbs 6 oz (2000 grams on the button, gaining 30 grams from the day before). She had a bath last night, and her hair was in fine form, nice and fluffy in the afternoon sun. I took a break for dinner and saw a big brother around Jack's age walking with his mommy and new baby out of the hospital tonight. Rather than feel sadness, I felt a lot of hope that we'll be in that place soon. Speaking of Jack, Jeremy took him to the Chicago Children's Museum today while I was with Joss. While they were there, Jack put a construction hat on Daddy's head, and declared to him, "Daddy, you can be anything you want to be." He'll always be my sweet guy. I bought Jack a few lollipops from the Argo Tea stand in the hospital lobby, and the Argo guy recognized me as the "orange lollipop lady." This has been Jack's request and we've probably bought 25 or so of these lollipops in the past four weeks. Four weeks - I can't believe we've been doing this for that long. 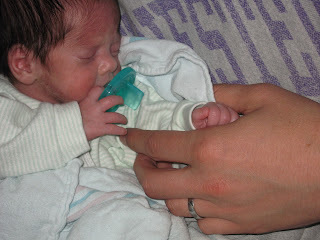 One week for my hospital monitoring and three weeks for Joss in the NICU. We will get through this, and we'll be home together soon. Jossie continues to up her feedings - she's now at 60 ml (2 oz) of breastmilk per feeding. 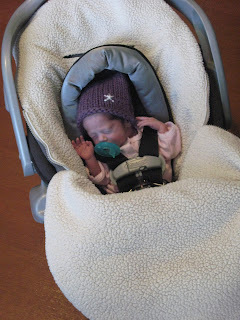 At her weigh-in last night, she was at 4 lb 5 oz, which is great. Daddy's over there now with her, and I'll spend the afternoon with her. As of this morning, she has been brady-free, which is two days now. Three to go. Jeremy and I spent the day with Joss today. It was delicious to be reunited with her. She unfortunately had another brady episode this morning around 11 a.m., so the five-day clock restarted again. I want her 100% healthy when we bring her home, but you can probably imagine how frustrating this is for us. I've cried enough tears for all of Chicago. Every single time she has had a brady episode, she has been able to self-recover, but we of course would never want an episode to happen at home. Jeremy and I have signed up for a refresher course on Monday for infant CPR - it feels good to be doing something. Jeremy's sister Cassie asked me to be her matron of honor at her wedding today. I was deeply touched and so honored. Jack and Joss will also participate as the cutest ringbearer and flower girl ever. When we asked Jack if he wants to be a ringbearer, he cheered and then said seriously, "what does that mean?" And then I got all teary again (big surprise) because if Joss is timid to walk down the aisle, Cassie suggested that Jeremy carry her down the aisle and so THEN I start thinking about Joss' wedding day and Jeremy walking her down the aisle and hello, waterworks. 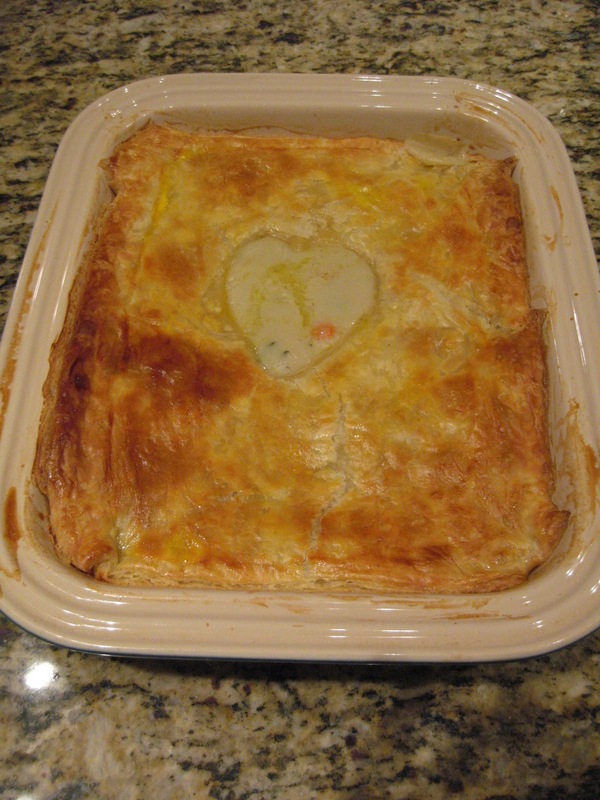 And one last piece of love. 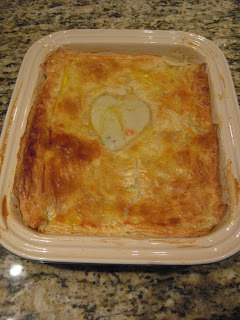 We came home to a dinner of chicken pot pie tonight, courtesy of Amy and, yes, that's a heart cut-out in the middle, and, yes, I cried when I saw it. I now know what thundersnow sounds and looks like - a blizzard complete with thunder and lightning. The wild weather continues in Chicago. As I sit on my couch, a fuzzy blanket wrapped around me, I can hear a car trying to drive up our snowy street. Jeremy and Jack are sound asleep - this is a snow day for most of Chicago today. I called the nurse this morning and she told me that Jossie had an "unremarkable" night. Good - we like being the boring patient. She continues to take her bottles well and at larger portions. She only gained 20 grams yesterday (as opposed to 90 grams the day before) but the doctors are glad to see her still gaining - they had taken her off of the calorie supplement so she's only being sustained by Mama's milk at this point. I had a nice supply of milk built up at the hospital, so she will have enough for today if we can't make it to the hospital. I hate that I can't get to her this morning but we're going to keep tabs on the weather and see if I can go later this afternoon. I can take the Chicago Avenue bus to her if need be. (Luckily, we live very close to the hospital - as my BFF pointed out last night, I could walk to her if I had to!) In the meantime, I continue to put my house back together. I'm down to just the kids' room (yes, eventually, Jack and Jossie will be sharing a room until we move) and a huge mound of laundry. What new mommy has time to clean her house before her newborn comes home? I'm in major nesting mode, which is good for our snowed-in family. Our fridge and cupboards are full, and Jack's toys, board games and books are stacked and organized for a day inside. 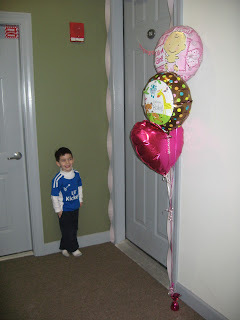 And I bought balloons and streamers yesterday, so Jack and I could decorate our door to welcome our dear baby home. What poetic justice for Jack too - his last day at home as an only child (we hope!) and it's a snow day where he gets both Mommy and Daddy to his own. I think we'll make pancakes this morning and take the day from there. We're hoping Joss will come home tomorrow. We'll know more later today.